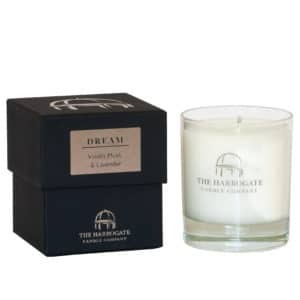 Slide into a Dream like mood with the comforting fragrance of Vanilla Musk and Lavender. The calming effects of Vanilla Musk blended with the relaxing properties of Lavender are a perfect aid for you to unwind after a busy day. To create that ‘look-after’ state of mind, simply relax and let the Dream fragrance caress your cares away. A stylish and practical way to fragrance any room, this stunning reed diffuser is a great alternative to candles. Simply pop in the reeds and allow the beautiful fragrance to be diffused around the room. 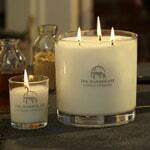 Decorate your home with scent and create a place where fragrance memories are made. 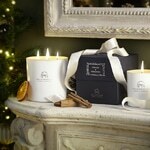 The natural reeds are infused with the rich blend of pure essential oils to create a beautiful aroma around your home. Start your fragrance journey today. If you’re looking for a perfect gift: our Mood Duo Gift Sets make a perfect gift anytime. The relaxing properties of lavender oil blend beautifully with the sweetness of vanilla and the depth of musk to create a truly warming and dreamy fragrance. Uplifting, spicy and sweet with floral overtones. This oil blends beautifully with lavender to create an initial burst of sweetness. A beautiful, herbaceous oil with fresh, floral and sweet notes. Blended with sandalwood to create a rich and dreamy fragrance. A deep, sultry and relaxing fragrance with earthy undertones – provides a beautiful, base aroma which lingers divinely. Absolutely perfect in the bedroom as this is a very subtle, gentle fragrance. Delightful to drift off to sleep with. Love it!